Prof Suresh Bhojraj , Vice-Chancellor, JSS AHER, for the past thirty years has been actively involved in uplifting the standards of pharmacy education and profession in India. He was elected in 2003 as the President of Pharmacy Council of India, the statutory body regulating the pharmacy education and profession in India. He was once again re-elected as the President of Pharmacy Council of India in August 2008 and August 2013 and has the unique honor being elected thrice to this leadership position. He is also the Chairman of the Scientific Body of Indian Pharmacopoeia Commission, which is responsible for setting of standards for pharmaceutical substances and formulations. Dr. Suresh is also the delegate member of the United States Pharmacopeia Convention and also the member of the Council of Convention of the USP. He is also the member of ACPE International Services Commission , USA . He was also the past President of Asian Association of Schools of Pharmacy, Chairman of the Education Section of the Federation of Asian Pharmaceutical Association and the Executive Member of Commonwealth Pharmaceutical Association. He had pioneered the cause of promoting “Pharmacy Practice” concept in India and has the unique honour of having introduced postgraduate programme in “Pharmacy Practice” and “Pharm D” programmes in India and continues to strive to uplift this facet of pharmacy profession by closely working with other global leaders. Dr Suresh has to his credit several national and International publications and has initiated several international collaborations through bilateral, academic and research exchange programmes. He has to his credit of having organized several national and international meetings and conferences in India and elsewhere, and had spearheaded the organizing of the World Congress of Pharmaceutical Sciences 2011, 71st International Congress of FIP. He has actively involved himself with the education initiatives of FIP and been an active member of FIP Pharmacy Education Task Force. In recognition of his invaluable services in the field of pharmaceutical education, he is a recipient of several national and international awards. 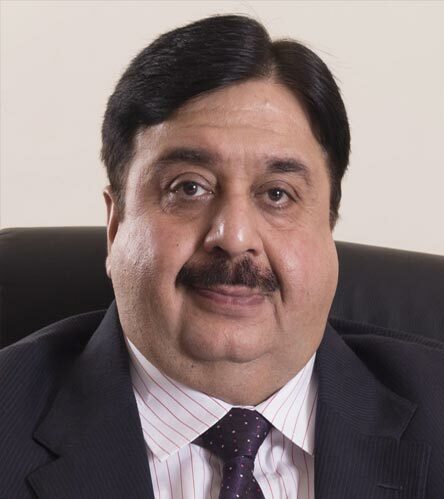 He is the past President of the Indian Pharmaceutical Association. In recognition of his invaluable services in the field of pharmaceutical education, he is a recipient of several national and international awards and to mention in particular the FAPA Ishidate Award–2004 (International Award) and Doctor of Science (D.Sc.,) Honoris Causa conferred by The Tamilnadu Dr MGR Medical University, Chennai in 2007 and by the Rani Durgavathi Vishwavidyalaya , Jabalpur, Madhya Pradesh in 2012. Dr B.Suresh is also the recipient of the presitigious ` Eminent Pharmacist Award` of the Indian Pharmaceutical association , the `ML Shroff award` of the Indian Hospital Pharmacists Association and the `KC Chatterjee award` of the Indian Pharmacy Graduates Asssociation. He continues to provide his leadership role in his multifaceted career by serving on several national and International statutory committees, viz. Drug Technical Advisory Board, National Board of accreditation, national committee for Clinical establishments and committee for Control and Supervision of Experiments on Animals (CPSEA). Dr B. Suresh has been designated as a Fellow of the Commonwealth Pharmacists Association in recognition of his service to Pharmacy in the Commonwealth by the Commonwealth Pharmacists Association in 2017. He is fondly liked by all his colleagues for his humane approach and his excellent team leadership. Prof B Suresh selected for the award for “Outstanding Contribution – Education & Training - Pharma Bio 2009 by Chemtech Foundation, Mumbai in February 2009. Dr B Suresh was conferred “SINDI LIFE TIME ACHIEVERS Award by Sindhi Federation of South India,, Chennai, February 2007. Received B V Patel Memorial Lecture Award at 56th Indian Pharmaceutical Congress, held at Kolkata, December 2004. The First Indian Academician to be awarded FAPA Ishidate Award – 2004 (International Award) for the valuable services rendered in the field of Pharmaceutical Education. Association of Pharmaceutical Teachers of India – Principal of the Year Award 2002”. Conferred the Honoris causa Doctoratein Science by the Rani durgavati Vishwavidyalaya (Formerly University of Jabalpur) for his contributions and eminence in the field of Pharmaceutical sciences on 2nd November 2012. IPA Eminent Pharmacist Award conferred by The Indian Pharmaceutical Association (IPA) for the year 2012, which is the highest award of IPA for his outstanding contribution across the globe to the profession of pharmacy and as an Academician, which is noteworthy. Visiting Professor, Faculty of Pharmacy, AIMSU University, Malaysia. Member, Executive Committee / Regional Representative (Central Asia), Commonwealth Pharmacists Association, London, United Kingdom. Member, Academic Advisory Committee of the Academic Staff College, University of Madras, Chennai. UGC Nominee, Board of Management, D Y Patil University, Kolhapur. Governing Body Member, JSS Academy of Technical Education, Noida. Member, Governing Body, Sri Jayachamarajendra College of Engineering, Mysore. Member, Advisory Board, Vels University Chennai. President, Pharmacy Council of India, New Delhi. Board of Governor, National Institute of Pharmaceutical Education and Research (NIPER), Mohali, Punjab. Member, Madras Race Club, Chennai. Participated in the Pharmacy Conference 2011 – 11th CPA Conference at Durban, South Africa, between May 29-June 1, 2011. Participated in the 69th FIP Congress held at Turkey, Istanbul, September 2010. Participated in the AACP - Annual Meeting and Seminar at Boston, USA – July 2009. Participated in the 68th FIP Congress to be held at Basel (Switzerland) between August 29 & September 4, 2008. Visited USA, Dubai during the year 2007. Visited USA during September 2006 to attend JSS alumni meeting at Baltimore, Maryland and also attend the inauguration of the JSS Spiritual Centre. Visited USA in May 2006, delivered a lecture on Ensuring the Supply of Qualified Pharmaceutical Scientist Specialists in Product Development and Related Technologies that Meet Current and Future Needs – Asian Perspective – Indian Experience at AAPS Workshop on Ensuring the Supply of Qualified Pharmaceutical Scientist Specialists in Product Development and Related Technologies That Meet Current and Future Needs at Arlington, Virginia. Visited Bangkok (Thailand) in November 2005, and delivered a lecture on Current Challenges in Pharmacy Education in 2nd Asian Association of Schools of Pharmacy Symposium and 2nd APEM Conference 2005. Visited Bangkok (Thailand) December 2004 and delivered a lecture on “Harmonization in Pharmaceutical Education System in Asian Region ” at 20th FAPA Congress. Visited Beijing, China June 2004 and delivered a Lecture on Pharmacy Education and Practice in India: Past and the Present at Inaugural Conference of Asian Association of Schools of Pharmacy. Visited Syria on invitation by Rawass for Chemicals & Al-Baath University Homs, April 2003. Visited Seoul, Korea, October 2002 and delivered a lecture on – Pharmacy Education – A Vision for the Future : Strategic Plans at FAPA Congress. Visited Singapore to participate in the FIP Congress, September 2001. Visited Thailand (Bangkok) to participate in the First Asian Pharmacy Educators Meeting to be held at Pattaya, April 2001. Invited to give a talk at the Pharmacy Australia Congress and 18th Federation of Asian Pharmaceutical Association Conference at Australia (October 2000) on Herbal Drugs used in stress, anxiety and depression in October 2000. Visited United Arab Emirates in April 2000. Visited United States of America (USA) in September / October 1999 and visited various universities and industries established collaboration with J.S.S. College of Pharmacy, Ooty. Invited to give a talk at the 14th Iranian Congress of Physiology and Pharmacology at Iran on “Development and Standardisation of Polyherbal Hepatoprotective and anti-diabetic formulations” in May 1999. Participated in the Pharmacy World Congress in 1998, 58th FIP at the Hague, The Netherlands. Visited Rheinische Friedrich-Wilhelms Universitat, Physiologich Chemisches Instit, Bonn, Germany and Pharmazeutiches Insit, Rheinische Friedrich Wilhelms-Universitat, Bonn, on invitation of International Bureau and the Ministry of Education, Science, Research and Technology (BMBF) in 1998. Visited Milan (Italy) and participated in Fourth European Congress of Pharmaceutical Sciences in 1998. Visited the Institute for Pharmacology & Toxicology, Vienna, Austria, 1998 on invitation of Pharmaceutical Society of Austria. Visited London School of Pharmacy and The Royal Pharmaceutical Society of Great Britain in 1998. Visited Australia in 1997 and had three weeks intensive training and over view of Clinical Pharmacy in Repatriation General Hospital, Daw Park, South Australia. Visited Iran (1996) on an Educational Exchange Programme to study the pharmacy profession and pharmacy programmes at Tehran University, Shiraz University. Visited Australia 1992, on Educational Exchange Programme to study the pharmacy profession and the pharmacy programmes at Sydney, Melbourne and Adelaide. Visited Singapore and Malaysia on a similar assignment with the School of Pharmacy, University of Singapore, Singapore. Visited USA to participate in the ACPE, International Commission meeting at Chicago, USA . President, Tamil Nadu State Pharmacy Council. President, Asian Association of Schools of Pharmacy. President, Faculty of Pharmacy, The Tamil Nadu Dr.M.G.R Medical University, Chennai. Member, Board of Management (Syndicate), Sri Ramachandra Medical College & Research Institute (Deemed University), Chennai. Board of Studies in Pharmacy, Bharathiar University, Coimbatore. President, Faculty of Pharmacy, The Tamil Nadu Dr.M.G.R. Medical University, Chennai. President, Citizens Forum of Ootacamund. Vice-President, Association of Pharmaceutical Teachers of India. Member, Planning Board of the Bharathiar University, Coimbatore. Chairman, Board of Studies in Pharmacy, The Tamil Nadu Dr MGR Medical University, Chennai. Member of All India Board of Pharmaceutical Education, All India Council for Technical Education, New Delhi. Member, Board of Faculty Development in Technical Education, All India Council for Technical Education, New Delhi. President, 58th Indian Pharmaceutical Congress (2006), Mumbai. Syndicate Member, Bharathiar University, Coimbatore (nominated by His Excellency the Governor of Tamil Nadu (2005-2008). Member, Academic Senate, Manipal University, Manipal.